When you have a group decision to make, it’s best to decide the details well in advance in order to avoid conflict amongst group members immediately prior to the event. This could be used for movie nights or dinner parties; while it dampers the spontaneity of plans, it improves the decision-making skills of everyone involved and decreases the likelihood of bickering amongst the group. There’s a time to give in and there’s a time to be assertive. If nobody is taking a firm stance on a decision, take charge! Otherwise, you’ll squander precious time trying to decide on something when you could have been out having fun or being productive. Great article. I especially like number 5. Using experience is also a good way to make decisions but not always the best. We actually makd decisions every minute of our lives. From deciding what to eat for breakfast to picking out clothes to what were going to eat for dinner, we are the cumalitive sum of our decisions. As important as what we decide to do sometimes we dont decide to do can have an even bigger impact on our lives than what we decide to do. Whatever your decisions make sure they come from within and not from external factors. YOU have to live with the consequences of your decisions. Good advice here. I think the best one is to limit your options and weight the pros and cons. 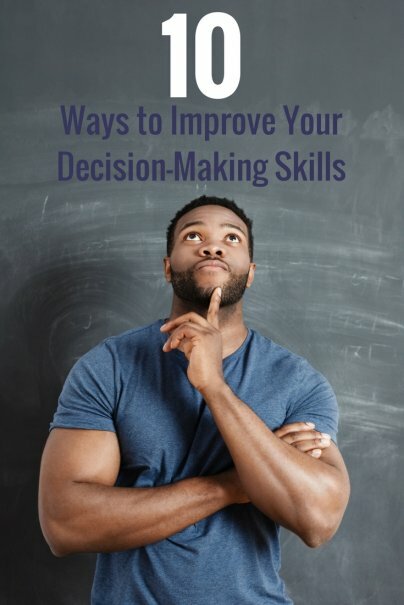 Its definitely harder to make a decision in a group, but narrowing down the choices and deciding between a couple rather than a large amount can really help. I'm a terrible shopper and usually find myself standing in the middle of the store staring blankly pondering a decision to buy something or not running through the pros and cons of the purchase in my head. I think that inefficient decision making is faced by many. Your advice regarding decision making is really worth following and is surely going to help people to take efficient decisions.